Maximizing performance is all about timing. Launches, gear changes, braking points, you name it, a few milliseconds difference is all it takes to either set a record or blow a corner. Under the hood is no different, as every engine component must work harmoniously to not only deliver the highest performance but also to prevent a catastrophic breakdown. This starts with the engine’s camshafts, managing the opening and closing of the valves that feed air into the cylinders and allow exhaust gases to exit. The exact specifications and characteristics of the camshafts ultimately determine an engine’s performance potential. With a new FA20 build project on the way, we sourced a set of camshafts from trusted UK manufacturer Piper Cams. 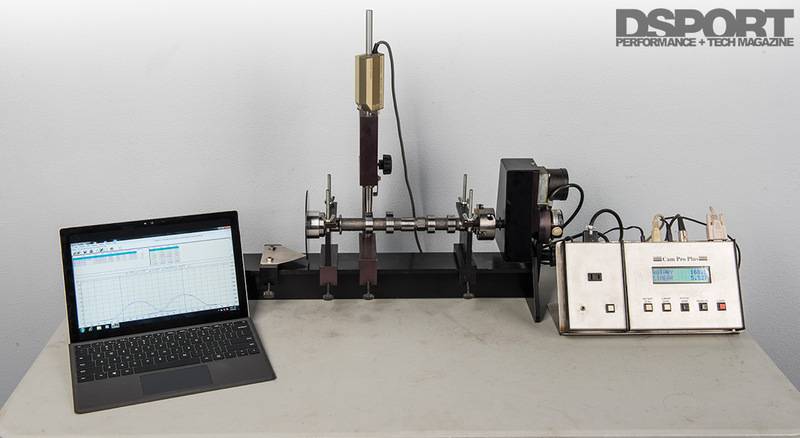 In order to best understand the true nature of the upgrade camshafts, we ran them through our cam analyzer for the full story complete with exact measurements. The new home for this set of camshafts comes in the form of an FA20D for the Scion FR-S/Subaru BRZ platform. 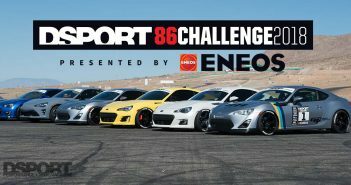 The setup will be far from stock, however, as the engine will enter Club DSPORT for special treatment with a stroker crankshaft, larger cylinder bore, Performance Sleeves from L.A. Sleeve, and other upgraded components. 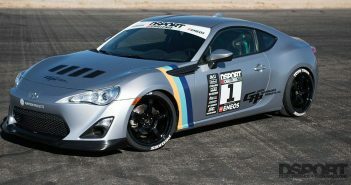 A Vortech centrifugal supercharger will top it off, providing the means to complete a 500+ horsepower package. 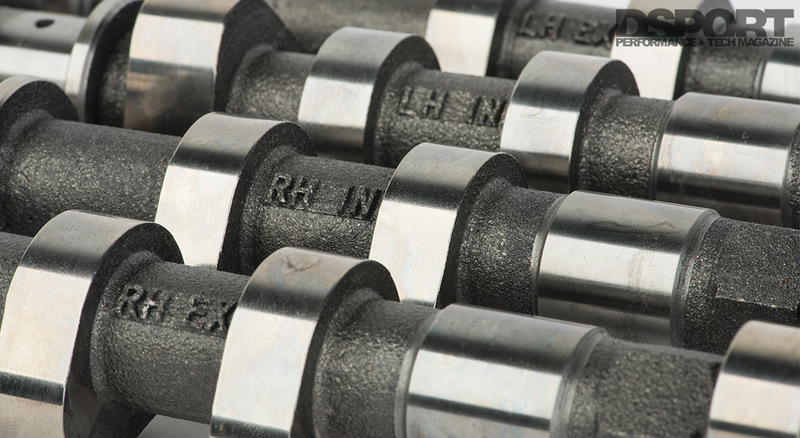 Given the power expectations of this build, proper camshaft selection becomes essential. Subaru’s factory setup for the FA20 valvetrain uses a variable intake and exhaust valve timing system referred to as “Dual Active Valve Control System.” This system is meant to optimize valve overlap, provide smoothness at idle and low loads, and implement some unique valve characteristics at medium and high engine loads. At light to medium loads, the system advances the intake valves so that they start opening while the exhaust valves are still closing. Some of the pressure created by the exhaust stroke flows into the intake manifold to produce an exhaust gas recirculation (EGR) effect, maintaining efficiency while also reducing the loss of thermal energy to combustion chamber surfaces. At high loads, the DAVCS advances the intake valves and increases the overlap between the exhaust valve lift and intake valve lift. This produces a scavenging effect that uses the intake airflow to clear the cylinder of exhaust gases. The intake valves also close earlier for the compression stroke and thus produce an improved volumetric efficiency to help deliver more power. 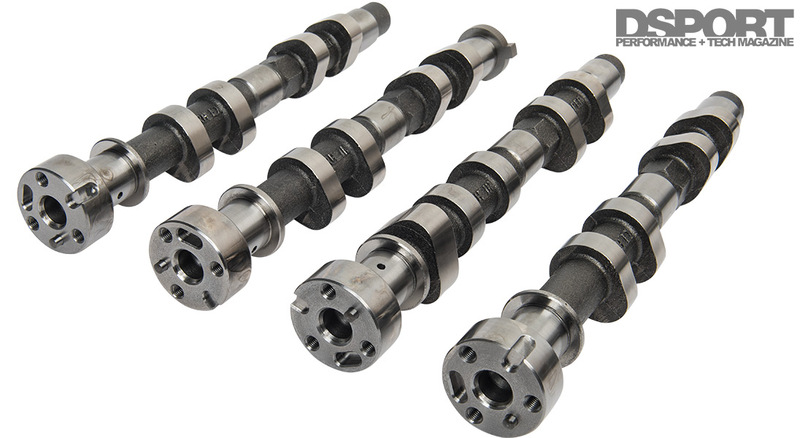 Piper Cams offers a range of camshafts and kits for numerous vehicle makes and models. However, its entire camshaft product line breaks down into four profile options. The BP255 Mild Road/Automatic Profile (Stage 1) serves as an introductory item, requiring no modifications or additional parts to install. It is designed to deliver a torque increase for towing or where additional low-end and mid-range power are desired. The BP270 Fast Road Profile (Stage 2) cam pairs best with simple upgrades like free-flowing exhaust systems and ECU remaps. The BP300 Rally Race Profile and BP320 Race Profile (for racing only) stand as the highest performance offering from Piper Cams, designed purely for competition in various facets of motorsports. The power delivery characteristics between the two differ, such as a wider torque band on the BP300 for rally racers and a tighter power band on the top end on the BP320 for road racers. Our final decision, however, lies with the BP285 Ultimate Road/Track Day Profile (Stage 3). Piper Cams’ BP285 variant is designed for modified road cars and track day cars that intend to make significantly more power than stock. It works best in conjunction with upgraded valvetrains to take full advantage of the camshaft characteristics. It is Piper’s most capable cam recommendation that still retains a consistent power delivery for drivability on the street. The factory bumpsticks in the FA20 employ a 255-degree intake duration and a 252-degree exhaust duration with valve overlap ranging from -33 degrees to 89 degrees. The intake camshaft allows for 60 degrees of adjustment while the exhaust camshaft has 54 degrees of adjustment. These ranges are controlled by the ECM and Subaru’s Dual Active Valve Control System to maximize efficiency and power, depending on driver input and engine load. Although the cam timing is flexible with these features, the stock camshafts leave room for improvement in terms of valve lift, acceleration, and duration. In place of the factory camshafts, a set of Piper Cams BP285 Ultimate Road cams would go in to complement the bored, stroked, and supercharged FA20 build. The cams are advertised to have a 272-degree intake duration and 266-degree exhaust duration, with 11.99mm valve lift on the inlet side and 11.30mm of lift on the exhaust side. Before the new hardware goes into the valvetrain, we decided to get the exact measurements and full analysis of the Piper Cams components versus the factory setup. These are the most commonly used terms when describing a camshaft’s characteristics and design. The lobes of the camshaft, one for each valve, control the opening and closing of a cylinder’s valve events and regulates the air/fuel mix. 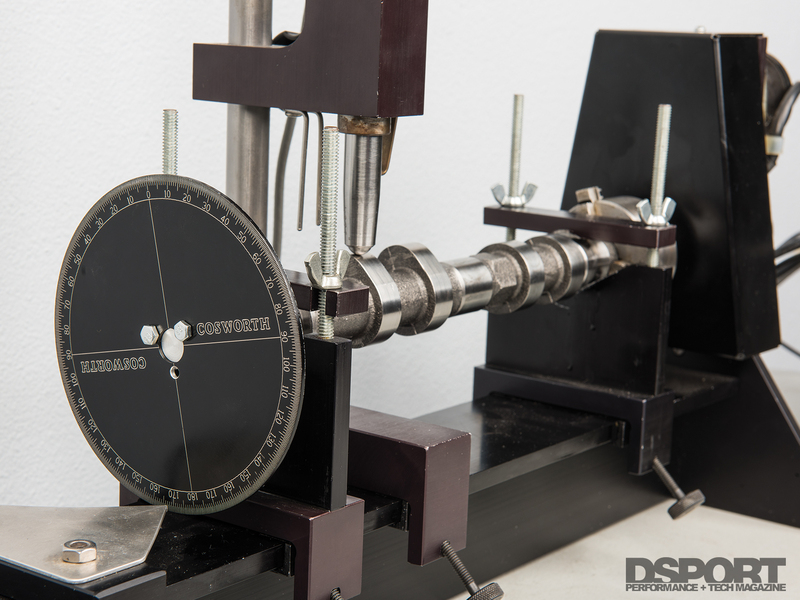 We tested both the factory and Piper Cams camshafts on our Cam Pro Plus analyzer in the Club DSPORT machine shop. This machine spins the camshaft and measures the exact lift and duration of the lobe. 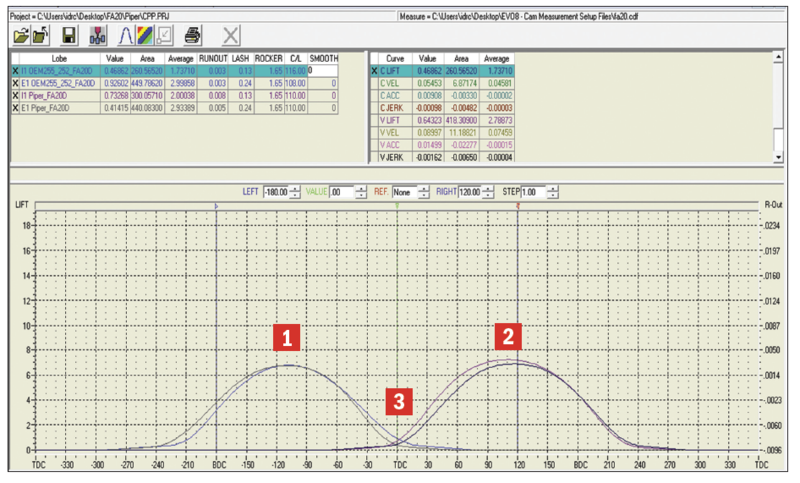 It then outputs the information onto a graph to help visualize the differences between the cams. It even calculates for total lift area, velocity, acceleration, and jerk. Before we dig into our findings, keep in mind that the manufacturer’s advertised measurements (particularly duration) often differ from the readings from a cam analyzer. 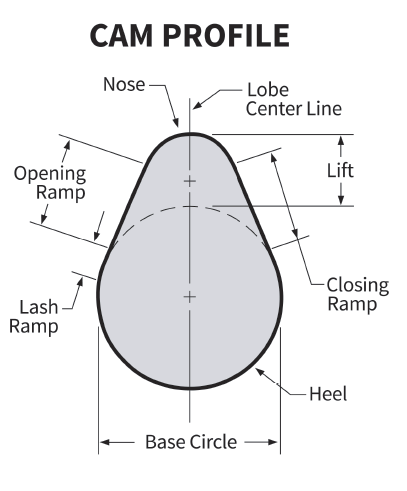 Manufacturers tend to start measuring the cam lobe lift very early on, approximately at 0.006mm or even 0.004mm, while many shops may start the duration measurement when the lobe reaches 0.5mm of lift. For our tests, we went with the latter. The Piper Cams BP285 camshafts reveal some unique characteristics when compared to the factory equipment. Both sets of cams see a very similar peak lift on the exhaust side, measuring at 6.770mm on the stock cam and 6.749mm on the Piper Cams variant. The Piper exhaust cam also has a slower ramp up, showing a peak opening acceleration rate of 0.0080 mm/deg, versus the stock cam’s rate of 0.0175 mm/deg (55 percent slower). 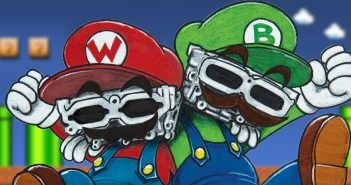 Given that the Piper cams are intended to be run harder and at higher RPM, the slower acceleration gives less strain on the valvetrain components. Although the ramp up is slower, the Piper exhaust cam holds a longer open duration of just over three degrees when lift is 3mm and higher. The Piper exhaust cam also closes much quicker than the factory cam, reaching a peak acceleration rate of 0.012 mm/deg. This makes its closing rate 31 percent quicker than the factory’s 0.00825 mm/deg. On the intake side, the Piper Cams camshaft has a peak lift of 7.2224mm, 0.3484mm (five percent) taller than the stock lobe. This makes for an increased lobe area of 40 square millimeters, or 8.3 percent. The measured overall intake duration only lasts little more than one degree of rotation, however, the Piper intake cam opens at a five percent quicker rate and closes at a 14-percent quicker rate than the factory equipment. As a result, the duration above 1.5mm of lift is vastly increased. What does all of this equate to in terms of performance? Piper’s mentality in the design of the BP285 was a cam profile that delivers mid-range torque and top-end power, but without sacrificing idle and low-load characteristics. Our measurements show this to be true, as the aggressive ramps on the intake side make for less overlap but still induces higher lift for a longer duration. The exhaust, on the other hand, maintains a slower ramp up and almost no additional lift over the stock cam. This allows for the exhaust gases to exit the cylinder at a higher velocity, which a taller lift or larger valve opening would not provide. This high velocity on the exhaust side mixed with the small amount of overlap characteristics enables an effective scavenging effect, flushing out exhaust gases with the incoming air and fuel mixture. Lobe separation angle (LSA) is the number of degrees between the maximum lift points or centerline of the intake and exhaust lobes (1, 2). 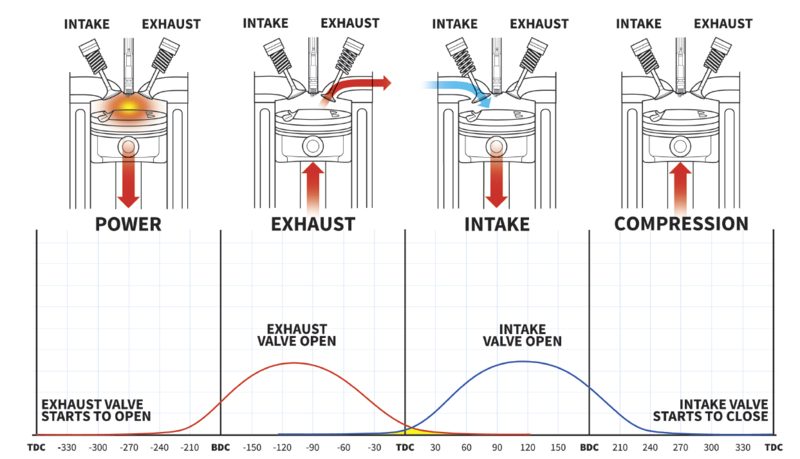 The duration of valve overlap (3) is critical to exhaust scavenging and cylinder fill efficiency in a performance engine. 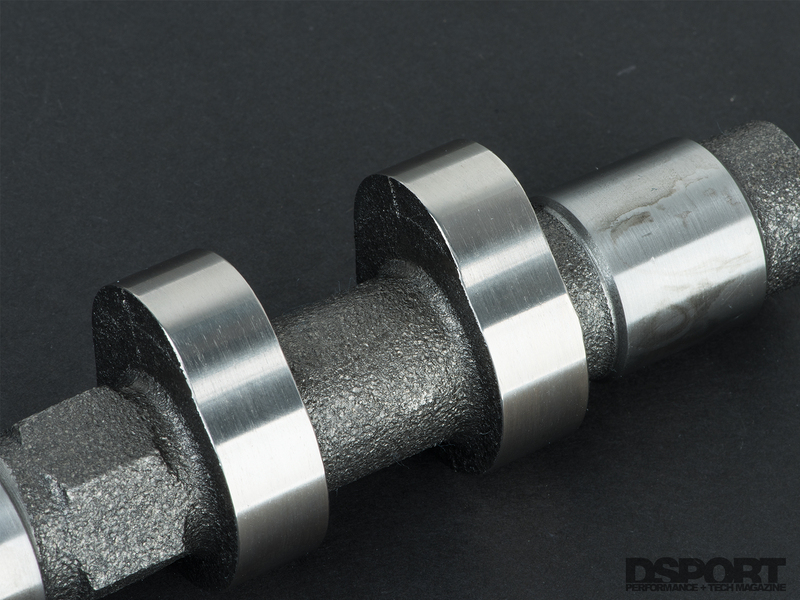 We expect the Piper Cams BP285 camshafts to mate nicely with the upcoming Club DSPORT FA20D supercharged stroker build, which will be featured in an upcoming issue of DSPORT soon. Although the BP285 cams aim to meet the best of both worlds in terms of working double duty for street and track, it likely won’t be the right fit for your pure-bred race car or basic bolt-ons street car. Its quick ramp and high intake lift characteristics call for an engine built and tuned to match, likely at a level that most engines won’t reach in stock form. But for a built engine meant to stay tame for cruises yet wrings out power during spirited drives, the BP285 will feel right at home.